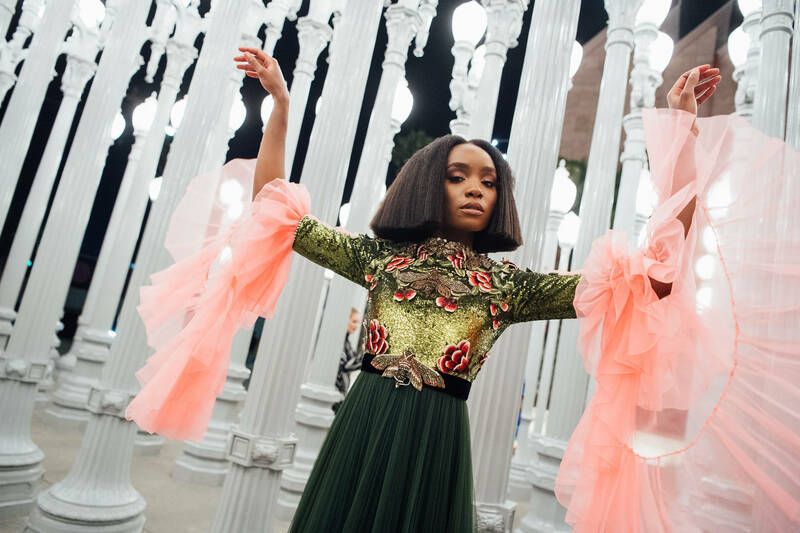 Kiki Layne's talents have led her to give a notable performance in the critically-acclaimed If Beale Street Could Talk. The young actress has already set her sights on another coveted role. In a recent interview, Layne expressed interest in playing X-Men's Storm. "She was an image of myself, of a powerful chocolate Black woman, and I just think that's an amazing image to have and I really want to play Storm," she told Varietyon Sunday at the Critics’ Choice Awards. "We are actively plotting, actively plotting." While her ambitions have been supported by many fans, another actress seemed upset by this statement. Alexandra Shipp, who embodies Storm's character in X-Men: Apocalypse as well as in the upcoming Dark Phoenix, alluded to her discontentment via twitter. "I won’t ever bad mouth a fellow actor. I won’t ever actively try to take another hard working actors job," she wrote. "Y’all can keep trying to pin black women against each other but it won’t work on me, honey. Stay blessed." Social media users were quick to snap at the actress, citing her "bad acting" and her refusal to acknowledge colorism in addition to ruining the Aaliyah biopic. The haterade prompted Shipp to address the criticism shortly after. "Black twitter is so powerful. One second we’re trying to rally and define why our lives matter, the next we’re making each other feel like we’re not worthy of one. I’ll only spread and give love, no matter what tone my skin falls under. Bless up y’all ima go back to work x"